I am a wee bit excited for the July 3 premiere of The Amazing Spider-Man. (Is it July yet?) I love that OPI and China Glaze team up with movies for polish lines. 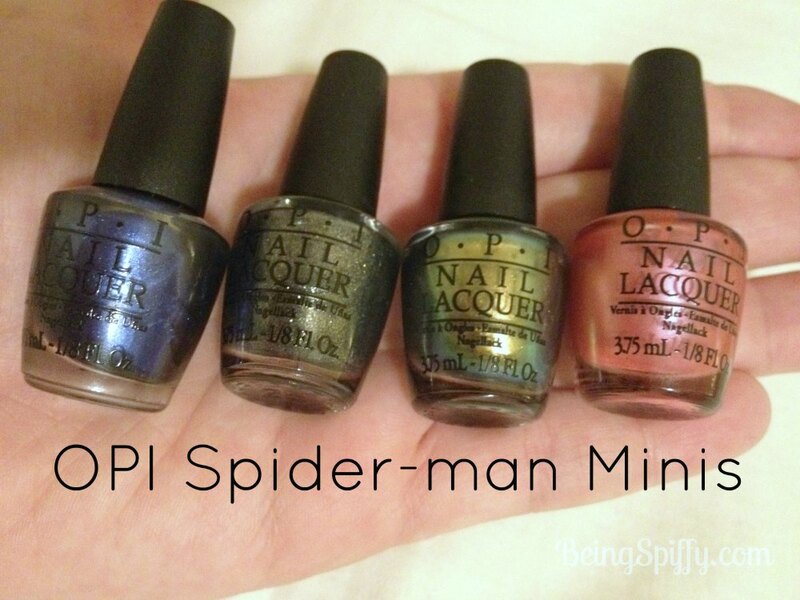 There are actually seven polishes in the Spider-Man line, but I picked up the set of four minis. I love getting the minis because I've never gone through an entire bottle of nail polish. Ever. Here are the colors. A really pretty mid/dark blue, Into the Night has some sparkle, but not bling. Number One Nemesis might be my new favorite gray! It has some gold glitter in it which gives it a green tinge. It's super cool! Just Spotted the Lizard reminds me of an iridescent green I have, but mine has a pink undertone. I like this one more. It's all gold and green and lizard-y, but in a wearable way. To me, Your Web or Mine is kind of a boring pink. I guess because I have a few like this. It has a tinge of coral in it, but not enough to make it fun. I used two coats on each swatch. 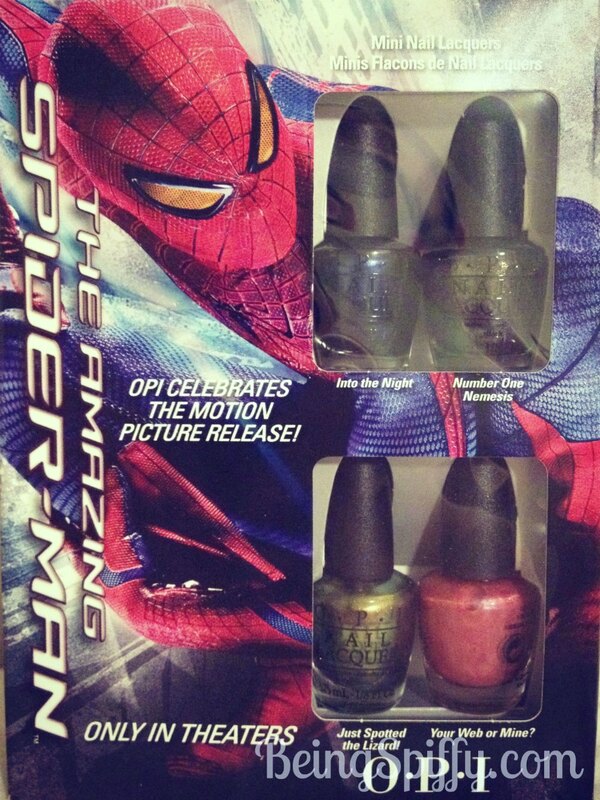 Each polish in The Amazing Spider-Man collection showed brush marks, but they weren't distracting. Plus I liked three out of four colors, so not bad! What are you more excited about? The movie or the polish?